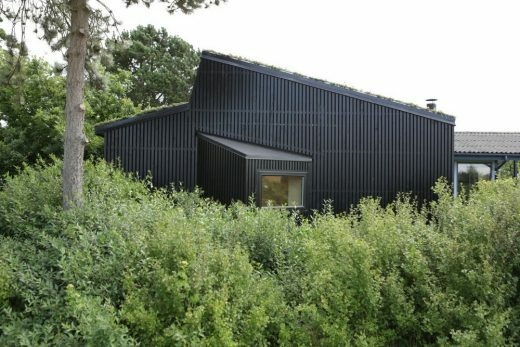 The brief was to make both a guest annexe and a small toolshed adjacent to an excisting holiday cottage in the southwestern part of Zealand. 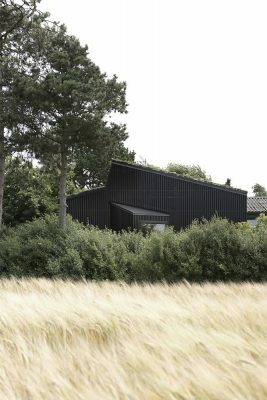 The project is situated in a corner of a small private holiday cottage property surrounded by similar typical and traditional Danish holiday cottages. 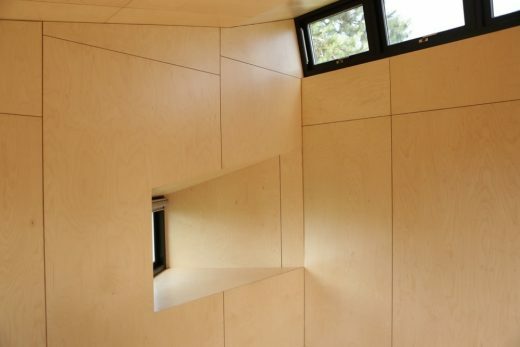 The annexe has a unilaterally pitched roof making space for a skylight which lets in a huge amount of day light into the single room annexe. 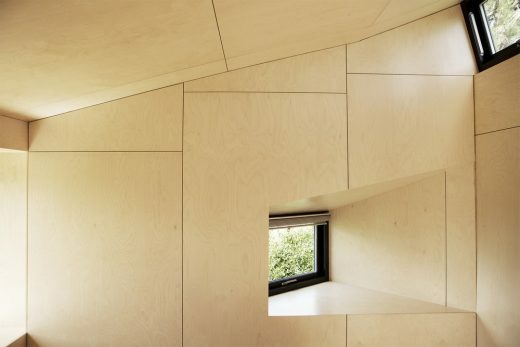 The interior of the single room guest annexe and the toolshed is cladded on both floor, ceiling and walls with birch veneer sheets. 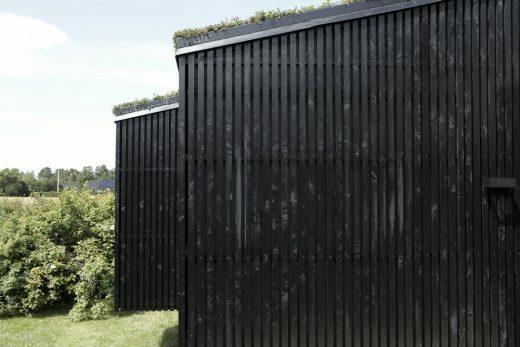 These sheets have all been treated with matt lacquer to gain more sustainability. 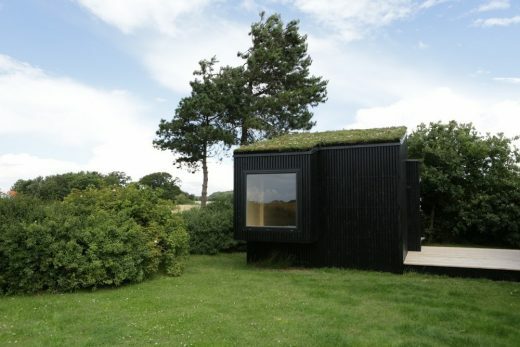 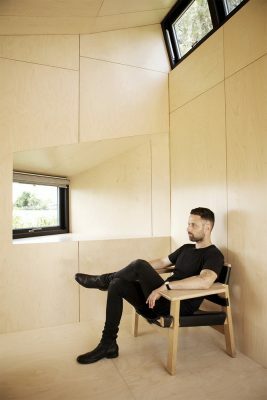 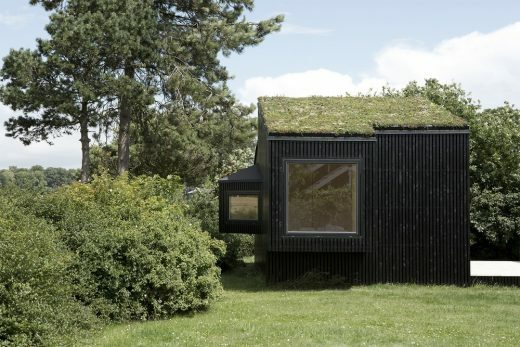 The exterior of the guest annexe and the toolshed consists of vertically mounted black painted larch wood molding linking it to the excisting holiday cottages as well as the surrounding holidays cottages.